Once again, Pinterest was my best friend and go-to place for hair and makeup inspiration. I’ve always been pretty lazy when it comes to hair and makeup; if it takes longer than 5 minutes (unless it’s a special occasion and then it might get a bit longer), then I don’t want to know! But obviously I had to make a special effort on my wedding day. 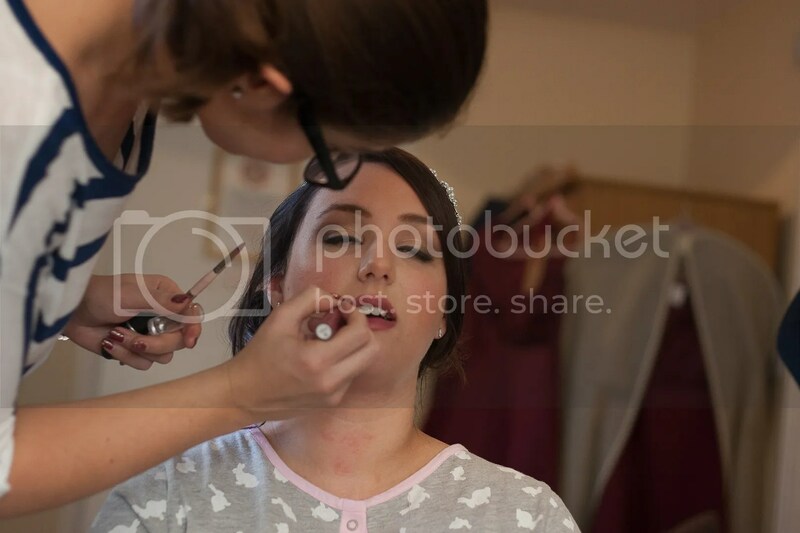 So I employed a hair and makeup team to sort myself, my Bridesmaids and my Mum out on the morning. I had a trial in November and Hayley from Flame Beauty and she and her assistant Hannah were fab came back for my wedding day; they were very calm and professional, and they were at the venue before I was!! 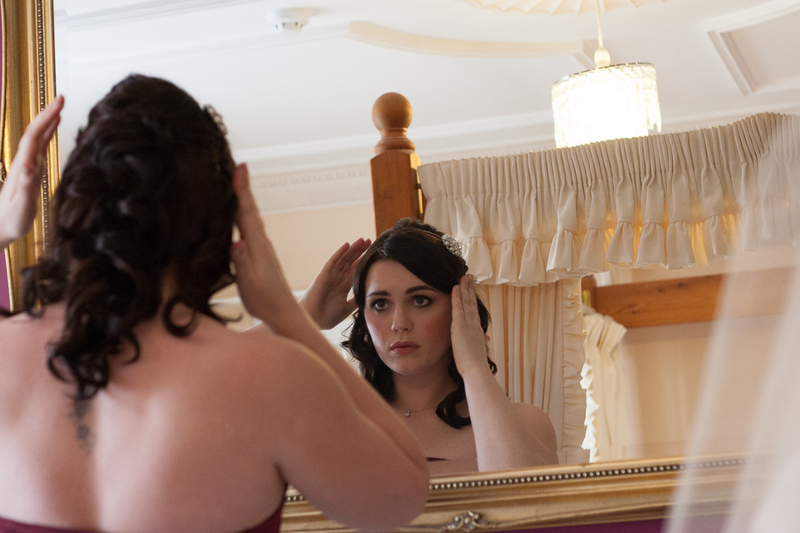 The Bridesmaids wanted to have their hair down and so I went for a relaxed curly style and they wore a little pearl and diamante headband that I bought from Primark. Makeup wise, I just wanted them to have natural looking makeup, but with really pretty eyes. 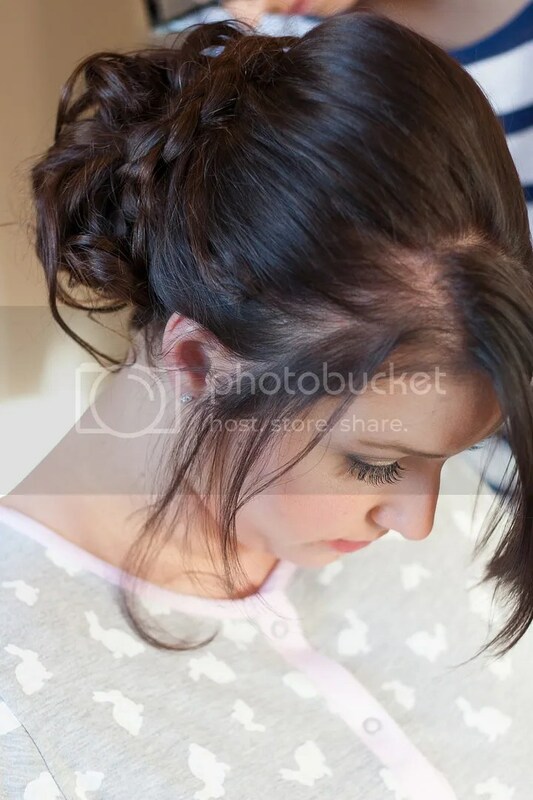 My Mum wanted the same kind of thing as the Bridesmaids for her makeup; natural but pretty. She had her hair done by her own hairdresser before she came to the venue on the morning for her makeup because she says ‘he is the only one who can do anything with her hair’. I wanted my makeup to be standout-ish; smokey eyes and flawless skin which is exactly what I got! I also had eyelash extensions which really finished off the look! I had gel nails done the evening before the big day; instead of the traditional French manicure, I opted for a deep burgundy colour with glitter over the top. For my hair, I wanted a big up do. This could only be created using the fake hair piece I bought as my hair refuses to grow past a certain point. 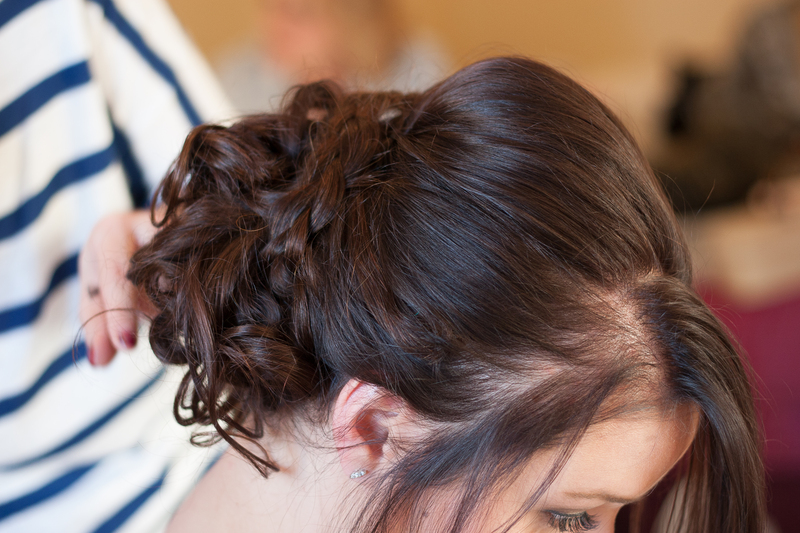 I wanted a sweeping fringe, a bit of back combing on the top and a bun hair piece with the veil over the top.